Compounding World Expo 2018 - Orenda Pulverizers Inc.
Our Orenda Europe sales team had the pleasure of attending the Compounding World Expo 2018, June 27th – 28th, at the Messe Essen in Essen, Germany. This is a new exhibition for the Compounding World magazine, organized along with AMI, one of the leading global event organizers in this industry. 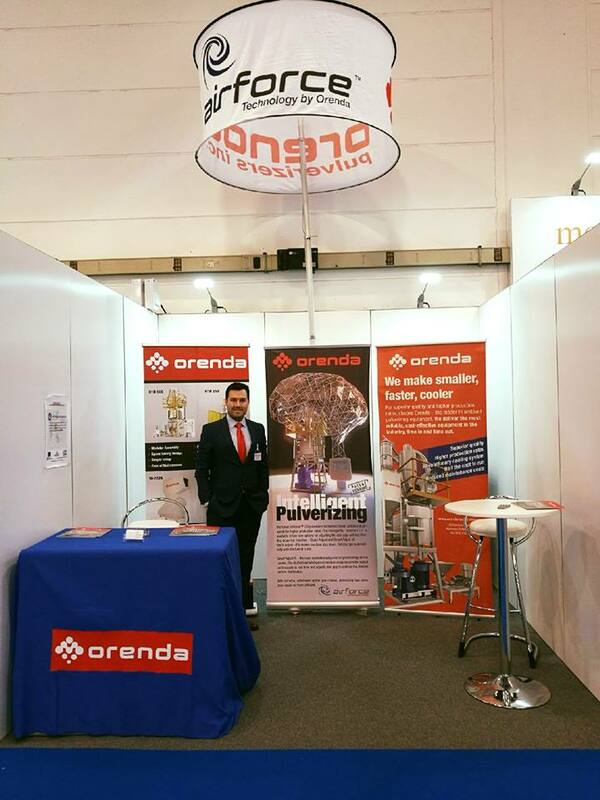 Not only did this exhibition provide Orenda an opportunity to engage with new and existing customers but it was also an opportunity to learn and grow. There were many business debates held, as well as some training seminars on a variety of topics and industry presentations of the latest technological trends and developments in this industry. Thank you to everyone that stopped by our booth. We are pleased to have been able to show you how intelligently Orenda has engineered the pulverizing process. We’d also like to thank AMI and Compounding World Magazine for putting together such a fantastic event.